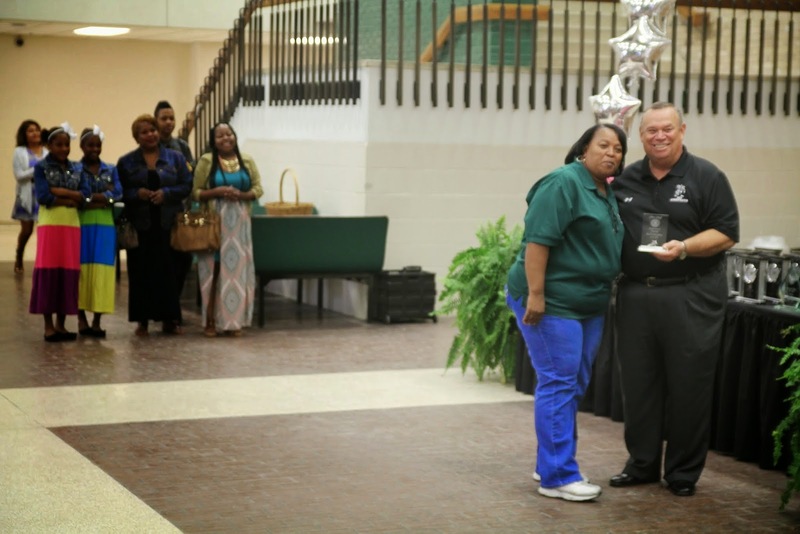 On Friday, June 6th, our district celebrated our annual All Star Awards, where we celebrated our Retirees, our employees' Service and our employees' excellence. 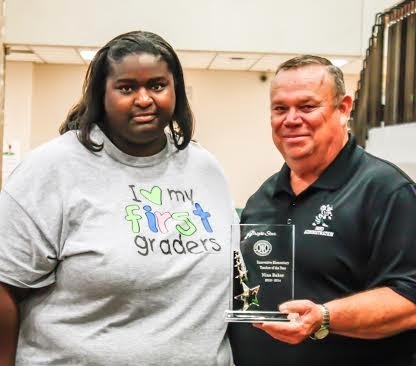 Each year, the district takes this time to honor outstanding accomplishments, and it's always a terrific way to begin summer vacation. Presenting our 2014 Star Staff Awards! It was not only great to see and honor those whose names are listed here, but also have a chance to see and visit with folks from all corners of the District. We have a diverse group of people all working in different positions to make sure our children stay safe while getting the best education possible. our Transportation Department was celebrated earlier in the week. Read through the names below of the folks that have served us throughout the years, and scroll down further and take a look at the photos, see some familiar faces and maybe some folks you haven't met yet. Kaelyn was there to pass out programs- and work security! Twenty Year Service Awards waiting to be presented! Beverly Kelly of HES and Krystal Herron of MPMS. Mrs. Kelly was Mrs. Herron's teacher, and her inspiration to becoming a teacher herself! Of course it could be the cookies- delicious as always! Thank you Henry and Food Service Folks. Henry and Most of the Food Service Team. Huntsville Elementary Teachers are representing! Networking of a Different Kind: Do you recognize Daniel Rollins without his cables or wifi? Maintenance & Operations Crew: Nick Soto and Juan Lopez. 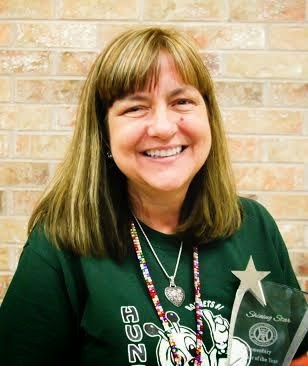 Elementary Teacher of the Year, Grace Bass! Board Member and Secretary Tracy Stoudt and Deputy Superintendent Sonny Cruse. Coaches Jason O'Bryant & Brad Didier showing their All Star Approval. Let's here it for Samuel Walker Houston Elementary Teachers! know her whole family is waiting in the wings ready to surprise her! HIS's Michelle Rush likes what she sees! Stacy Godby congratulated by Dr. J. Great photos and a great district to work in!